Completed in 2017, this project features midcentury modern interiors with copper, geometric, and moody accents. 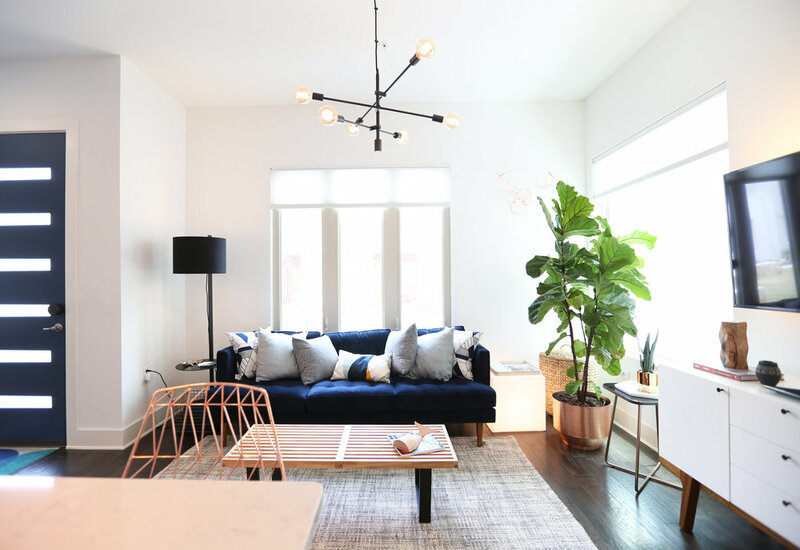 The design was driven by the client's attraction to a grey, copper, brass, and navy palette, which is featured in three different wallpapers throughout the home. As such, the townhouse incorporates the homeowner's love of angular lines, copper, and marble finishes. 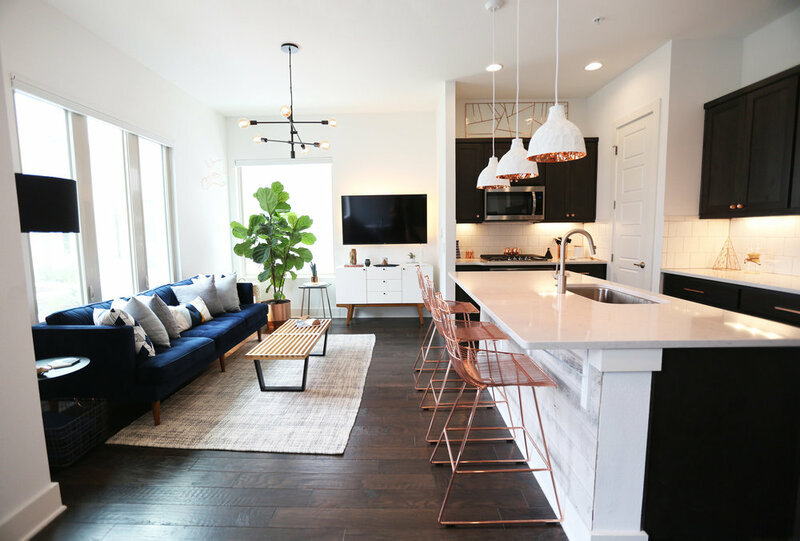 The builder-specified kitchen underwent a makeover to incorporate copper lighting fixtures, reclaimed wood island, and modern hardware. In the master bedroom, the wallpaper behind the bed achieves a moody and masculine atmosphere in this elegant "boutique-hotel-like" room. 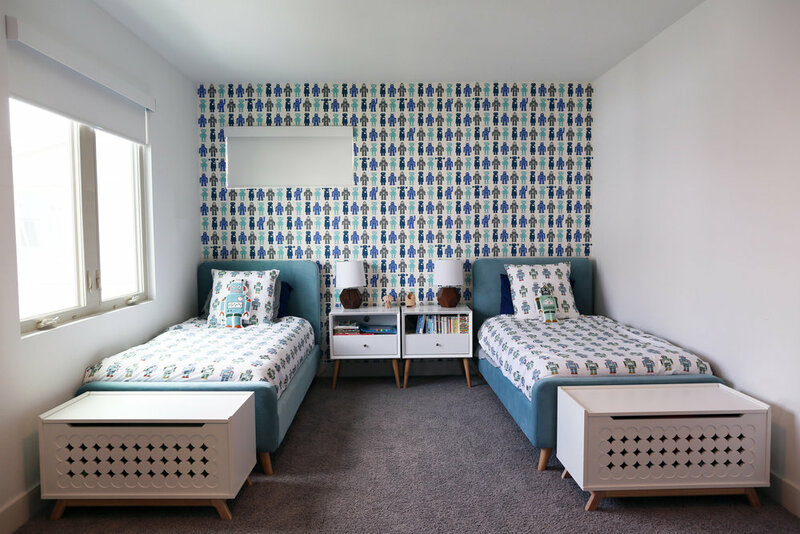 The children's room is a combination of midcentury modern furniture with repetitive robot motifs that the entire family loves. Like in children's space, our goal was to make the home both fun, modern, and timeless for the family to grow into. This project has been featured in Austin Home Magazine, Resource 2018 Issue.